Servers have been the lifeblood of organisational file sharing for decades. And while new opportunities exist within the exciting new realm of “Cloud storage”, there are still many benefits to investing in a simple server system as part of your internal IT infrastructure. 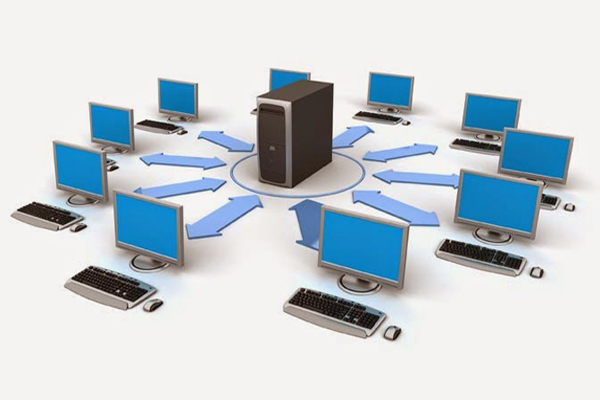 Put simply, a server offers an efficient way to enable file sharing between teams. If your business started out as a “one man show”, you’ve likely been storing all of your documents on your desktop or laptop. But as your operation expands, there becomes a need to move these documents to a shared location so your team can access them and work effectively alongside you. Whereas once servers were bulky pieces of hardware, the latest servers on the market are smaller and much easier to store. Depending on your current needs, you can may even decide to purchase a micro-server and add to its capabilities (or add additional servers) as your business grows. These days, you can pick up a quality server for less than $1500. You will want to budget for IT support to have it installed and set up in your office, but once this is complete you will be able to enjoy complete server capabilities for many years to come. It’s impossible to run an effective business without enabling collaboration through file sharing. Storing your data on a central server allows others to access the information they need to do their work, and add any documents they create for the benefit of other team members. Laptops and desktop computers break all the time. They overheat, fall prey to dangerous viruses, and (in the case of laptops) get lost or stolen. They are also not made to store copious amounts of data and when overloaded, can run slow and crash often. When you store your documents on a central server, you are protecting your files from the everyday wear and tear of your device. Even if your computer breaks, the information remains on your server and can be accessed anytime from another device. There are certain steps you must take to protect the integrity of data on your server, and we can discuss these with you. Imagine having 10x the storage capacity than what exists on your computer now, and being able to free up all that space on your computer so that it runs faster. By investing in a server, you are proactively planning for the growth of your business by implementing an efficient system that can scale with you. And though Cloud solutions are growing in popularity, they are not always the best decision. Often it is preferable to maintain local control over your data by investing in a small server, rather than putting it all in the cloud. Of course, Cloud storage does have its benefits (such as maintaining your website and emails, and allowing people to work remotely by sharing current files). The best solution is often a hybrid approach between the two, and we can help you set this up for your business to ensure you are maximising the benefits of both. For more information about expanding your storage capabilities, setting up a hybrid solution between local and cloud, or investing in a server, please call Empreus IT Support on (02) 6189 1322 or contact us now.